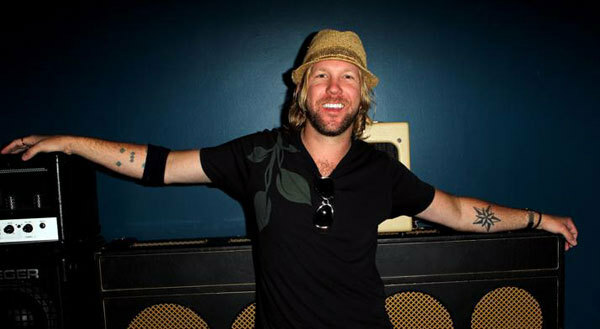 Devon Allman, son of Gregg Allman of The Allman Brothers Band fame, is making music of his own. In fact, not only is he making music, he's also making hot sauce! He explains on his website, "Even though my family is known for music and I travel the world performing, my other passion is cooking. Sauces have always been a favorite. I'm very pleased to put the Allman name on such a quality, all natural project. Hot smoky blues, hot smoky sauce. It just makes sense." Devon is proving himself to be a true Jack-of-all-trades. More importantly though, Devon is making his own name in the music community. After playing as the driving force behind bands like Honeytribe and Royal Southern Brotherhood, Devon is stepping out on his own. While he might have his dad's bluesy growl, we're convinced that's simply a matter of genetics. Some blues experts will tell you that when a true soul man delivers, you feel like you're listening to someone else's intimate conversation. With his new solo album, Turquoise, Devon proves capable of such a feat, particularly on his stand-out track "Time Machine". The imagery of time travel is woven throughout the record as Devon reflects on his twenty year journey, striking off on his own to create music that shines beyond his dad's towering shadow. Allman uses Turquoise as a platform for interesting experimentation. Take for example the tropical reverb Allman mixes in on "Key Lime Pie" and the Latin rhythms on "There's No Time". But when he dives deep into the blues ("Time Machine" and "Strategy") is when Allman's talent really shines through. Turquoise isn't flashy or decadent, but rather a special brand of everyday blues that tells stories, explores genres, and creates a relatable narrative that will sweep you up.